*All items have either been gifted to us or have been purchased and loved. This post contain affiliate links. See our full disclosure policy here. As always, all opinions are our own, and we really think these will be great gifts to give your loved ones. Hoverboards are all the rage lately. Remember when they first came out, and they were super expensive? You only saw celebrities riding them around, because the prices were insane. Well, now they are actually affordable!! You can score a GoTrax Hoverboard for less than $200! It's so fun to ride, and doesn't take much to get it. And GoTrax even has a Hoverfly PLUS, which has a built in Bluetooth Speaker...so you can listen to music as you fly. Great for kids and adult. I know my family will be fighting over this one! This Hoverboard can take you up to 12 miles with just a single charge. And runs a little over 7 MPH. It will light up when you need to return it home for a charge. It also comes in 5 different colors, so everyone can have their own. You'll definitely be the favorite in the family when your loved ones unwrap this gift! Give the gift of Family Play Time this holiday season! The kids in our family LOVE playing games. Anytime "Auntie Rara" is home (that's me), they always quickly ask if I want to play a game with them. And thanks to Goliath Games, we have some really fun ones to choose from. The 6-year old was so excited about Giggle Wiggle, and Doggie Doo, that it was one of the first things he put on his Christmas list. They have so many fun games from kids, including... Shark Bite, Mr. Bucket, Food Food, Mr. Bucket, Pop the Pig, and Paint-Sation. These games are great for the kids and adults. Entertaining for the little ones and even the older ones too, so we can all play together. Goliath Games will be sure to please this holiday season. How about giving the gift of adventure?! The oldest kids in our family are now learning to read. They love reading good stories every night, and are getting really good. We thought a perfect present for them this year would be a book that is personalized with their name in the story! And Wonderbly has the coolest books for just that. Each book gets personalized with your child's name, and you can even pick a character that looks similar to them in some of the books. We fell in love with their best seller "The Little Boy/Girl Who Lost His/Her Name". Not only is this book personalized with their name, but in this story, the child goes and meets new animals that begin with each letter in their name. Another favorite was the Christmas Snowflake. In this book, you can include the names of everyone in the family! 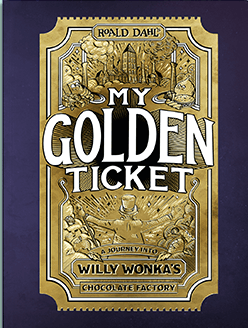 They have stories of adventure and princesses, little bears and a birthday thief...and even your child's very own Willy Wonka and the Chocolate Factory with their own invitation on a golden ticket! They are sure to love all these new adventures. Wonderbly has books available for ages 0-12, and you can get these in paperback or hard cover, and even get a keepsake box, so they can treasure these until they're old. The quality, stories, and pictures, these books feature is enough to be long time fans! If you ask my nieces what they want to be when they grow up, they're likely to say "a mermaid!" When you ask the oldest one what she wants for Christmas, she will always say "a mermaid tail". I mean, I totally get them. What girl doesn't want to be a mermaid?! Fin Fun makes that possible! Whether it's dressing up like a mermaid, or swimming in your very own mermaid tail, Fin Fun has you covered. From their toddler tails, to their dress up tails, they even offer mermaid tails for kids and adults, that come with a "monofin" so you can swim like a mermaid! (We had to include the video for you to see too!) Seriously, how cool is that?! If you're child isn't old enough, or a great swimmer, Fin Fun offers mermaid tails without the fin as well. So your little one can still be a mermaid outside of the pool too! 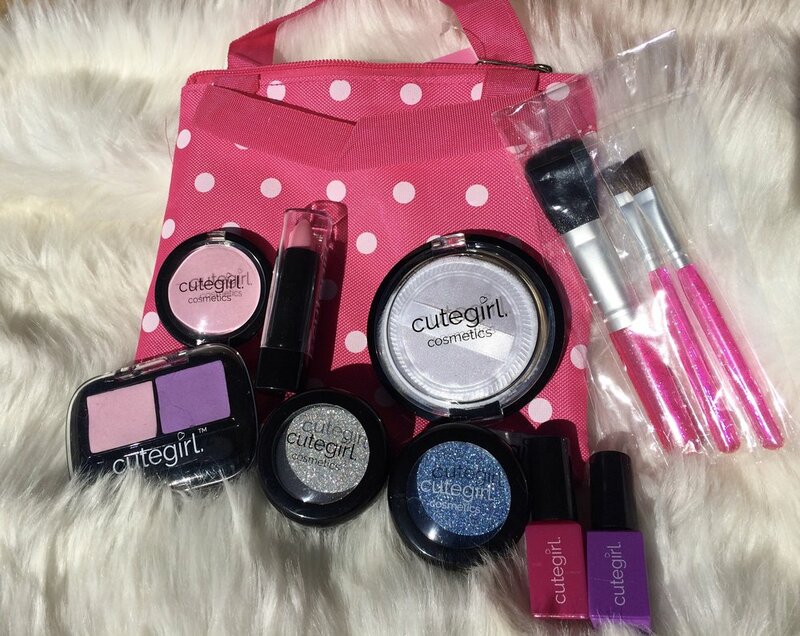 They have so many different colors and styles, that you're sure to find the perfect one for the girl (or woman) on your list! The monofin comes with reinforced tail tips and has a 60-Day Tail Tip Warranty. So you know you're getting the best deal. With 5 of us sisters, and now 5 little girls of our own, Fin Fun is sure to get lots of business from us in the coming years. It's so hard to choose which tail you'd want too. Which is another great thing about Fin Fun...their mermaid tails are affordable, so you can buy 2! or 3 or 4! And just switch out the monofin. It is recommended for your mermaids to be over 6 and great swimmers before they get the monofin, but they can get started like our girls and get a mermaid tail to play in outside of the pool. I remember playing on these ride-on cars when I was younger. We even have the one from my youngest sister, and all the grandkids play on it. But after over 20 years, and 6 grandkids later, it was time to look for a new one…or at least one in addition to. So we found this awesome pink 4-wheel powered ride-on, ATV, from Best Choice Products. We have a bigger jeep for the older kids, but it was just too big for our 2-year old. This one is a perfect size for her, and now she can ride outside along with her brother and sister. And it's way more affordable than some others out there. It's a great beginner ride-on for your 1-3 year olds! This has been one of the most unique and needed gifts we have come across this season. Sensacalm has a line of therapeutic weighted blankets that help "Anxiety, Insomnia, Autism, ADHD, PTSD and sensory processing disorders". These blankets are filled with "Hypoallergenic and non-toxic polypropylene pellets", and can be weighted depending on the size and height of your child. These weighted blankets can help your child sleep through the night, help reduce anxiety and stress, and help keep your child calm. They are great for children with autism, anxiety, ADD, or if your child has Sensory Processing Disorder. These are great for children, teenagers, or adults. If you have trouble sleeping, keeping calm, or problems with anxiety, you definitely should look into these blankets. They're custom made, so you can choose your fabrics pattern, add snaps, monogram it, or even add a soft backing to the blanket to make it even more cozy. They come filled with polyfil, so it's fluffy, like a comforter, but you can also get it without. The staff at SensaCalm is great, and can help you figure out what weight will be best for your child's needs. They really have a heart for helping your children get the comfort and support they need with these blankets. This Fast Table Chair by Inglesina will be a life saver for anyone who has a young one who wants to sit at the table with everyone else. Our young ones love sitting in these chairs at the table, or breakfast bar. It is intended for children between 6 and 36 month old. It fastens right on the table, to create a seat for your child. The arms tighten on the table by twisting, and it leaves the table scratch free. Use it at home, at a restaurant, or while traveling. It packs up into a carrying bag, and is easy to transport. You can even choose between the 9 different colors. Your child can now be right there at the table with you, and you don't have to worry about a bulky high chair. Our kids definitely prefer these chairs to anything else, and get to feel a part of everything going on at the table. Oakiwear has an awesome children's line of footwear, winter wear, rain wear, and summer wear. Really, they have it all. We got to check out these Winter Snow Boots in Navy, and they are just the coziest, warmest boots around. We ran into these fun and useful gifts from the Dunk Collection and had to share with you. The Dunk Collection features Basketball hoop items including the Dirty Dunk (for laundry), The Document Dunk (for trash cans), and the Scrub-A-Dunk (for baths), and it’s hard to decide which one is our favorite. Have a mini baseball/sports fan to shop for? Baseballism has many unique t-shirts for kids, that all involve...you guessed it....Baseball! We were able to check out this "I Woke Up Like This" shirt, and absolutely loved it. We have 3 little girls in our family, and two of them are 4-years old, who LOVE following everything their mommies and aunties do. That includes hair, clothes, nails, and they're even asking about make-up! That's where Cutegirl comes in. get our 15% off promo code!